Bead setting is a method of securing a faceted stone. A small burr of metal is raised with a graver, worked at a 30-degree angle, and pushed to the edge of the stone. This burr is then burnished with a concave tipped punch into a small ball over the girdle of the stone. 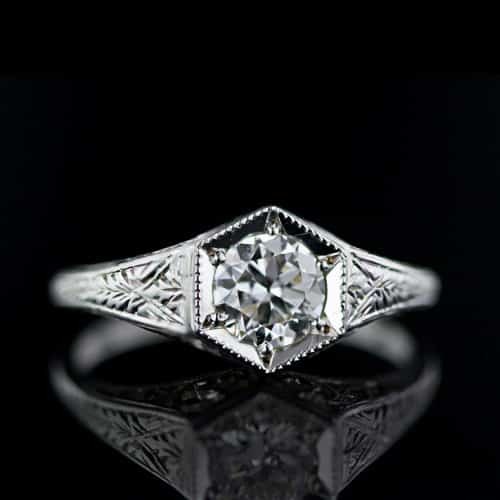 Vintage Style Engagement Ring with Bead Set Diamond.